I saw weirdly speckled pods next to the green beans at local market this week. The sign said "fresh pinto beans" (Kidney beans) . 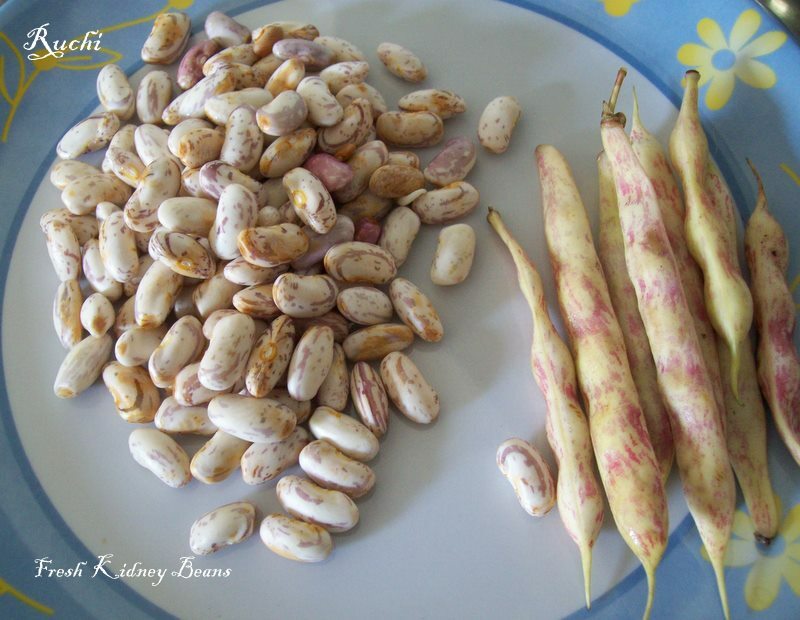 I love kidney beans and they too very fresh! So I bought this fresh pinto beans in shell from Market. They provide antioxidant effects, give you energy, and provide fat-free high quality protein, fiber, vitamins, iron, folate magnesium etc etc. 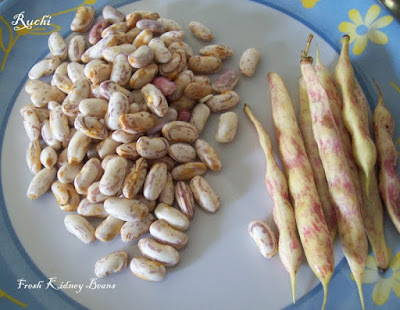 Fresh rajma beans tastes much better than the dried one and cooks faster also. Here’s a delicious and tasty quick vegetarian curry. 1. Wash and clean the beans and cook in water for at least half an hour. 2. Decant the water and let stand for a few minutes. 3. Then take a pan and add oil. 4. Once it gets heaten up, add mustard seeds it splutters add urud dhal red chilli and saute them. 5. 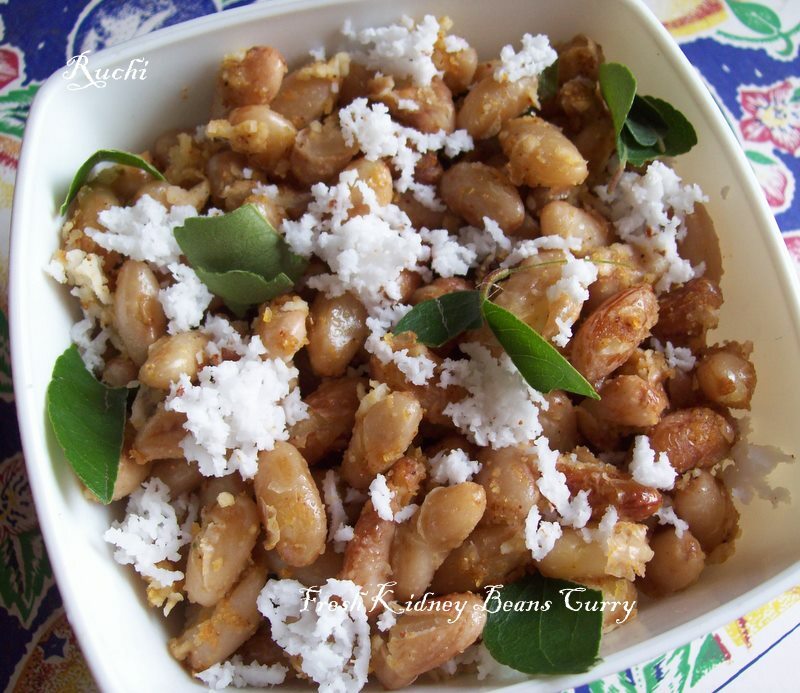 Then add the cooked beans in it, add salt, Dhania-jeera powder, Red chilli powder and sauté them for 2 minutes. 6.Then add the shredded coconut and curry leaves mix them well .Serve Hot . this is very good for Diabetis oru pottalam parcel anupunko pl. Cool!! I have never seen fresh pinto beans...This makes for a nutritious curry!! 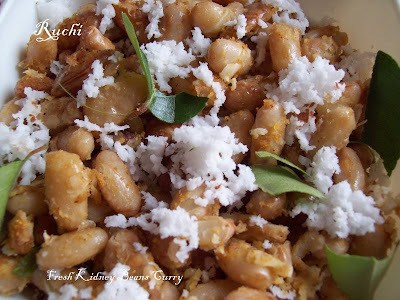 Beans curry is one of my favourites anytime...looks delicious!